Season & Spice brings you exciting recipes to spice up your at-home cooking. Dry rubs, pastes and basting sauces are often overlooked when cooking at home, but we aim to change that. Culled from extensive research and delicious meals, Season & Spice presents what we think to be the best collection of its kind. 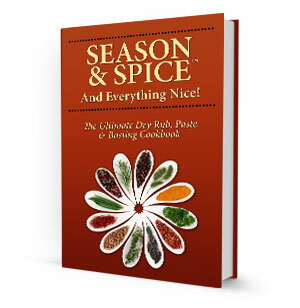 Surely to become a favorite in your cookbook collection, your meals will never cease to impress with these great dry rubs, pastes and basting sauces.